At IntelliGenesis, Veterans Day holds a special place in our hearts not only because we recognize and honor the sacrifice our men and women in uniform have made for our country but also because many of us – 60% in fact – are veterans ourselves. And while many companies support veterans during their transition into civilian life, we truly believe that unless you’ve been through it, you simply can’t imagine the many complexities and challenges that come with the transition out of active duty. We know that having a career is only one piece of the puzzle and have sought to help transitioning veterans with the entire scope of lifestyle change. Here’s what we mean. Leaving the military isn’t just moving from one job to another. Or from one career to another. It’s not about moving from one state (or country) to another. It’s all of that…and so much more. When veterans transition out of the military, they’re uprooting their lives and the lives of their families to start something completely new. A new way of being and living. And it’s our mission to make sure that transition is as smooth as possible, from applying their skills in the civilian world to establishing what might be their first “home base” in quite some time. 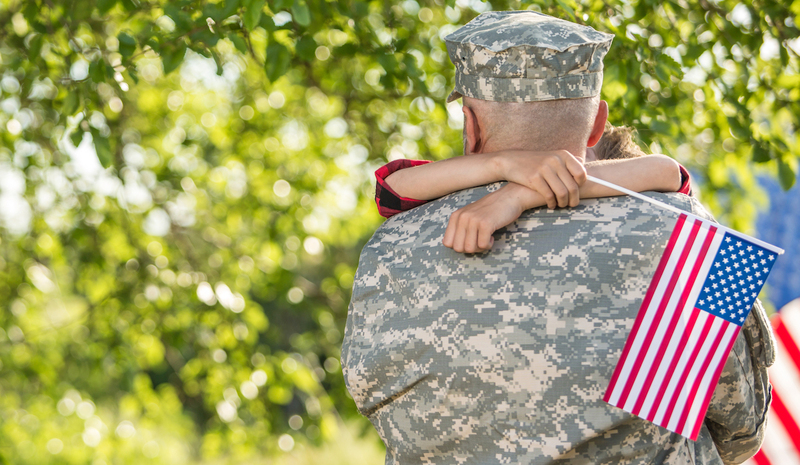 Approximately 200,000 service members leave the military each year. From acronyms, jargon, and protocol to redefining workplace authority structures and roles, the transition into the private sector can be full of unknowns, especially when it comes to the new rhythm of corporate life that has its own unspoken codes, traditions, and routines. Because so many IntelliGenesis employees – including the President & CEO, Angie Lienert – are former military members, transitioning veterans are in good company; and we’ve intentionally built a culture of camaraderie so that it’s less about the rules and more about relationships. There are approximately 24 million veterans in the United States. Many veterans haven’t lived off base for several years. They’ve lived in foreign countries away from family and surrounded mostly by other members of the military. They may have lived for decades knowing they could be uprooted at any moment and sent somewhere else for any amount of time. When veterans leave the military, they’re suddenly able to decide when and where they’ll go next. They can define their own home base. While that may sound freeing to some, others can become overwhelmed by the possibilities and find life off the military base unsettling and abstract. For those with families, this transition can be even more difficult, knowing that the veteran not only has to be concerned with their own transition out of military life but also with the emotional transitions of their spouse and children, many of whom have grown up only knowing military life. Supporting the entire family is essential to getting this transition right. Approximately 370,000 veterans are unemployed. While the work itself is only a piece of the puzzle, it’s still an important one. For many military members, their unique skillsets may not directly translate in the civilian world. They struggle to find jobs where they can apply the skills they worked so hard to master while in the armed forces. Beyond fitting the pieces of the puzzle together for our veterans, we also know how to close any skills gaps and are willing to go the extra mile to do so. We can identify specific skills that will position our veterans for success and provide them with the training needed to make it happen. From job-specific programs like our Infrastructure and Control System (ICS) course to transition-specific trainings like our Military Transition to Contracting Workshop, we put the tools our veterans need into their hands to ensure success for both the company and them. We make the investment up front because we know that hiring our nation’s transitioning veterans is an investment that always works out for the good. Whether you’re deep in the complexities of the job search, housing and relocation, or doing the age-old “re-tool the resume,” we get it because we’ve been there too. To all of our veterans, including the many that we get to call a part of the IntelliGenesis family, thank you. On Veterans Day and every day.